Philadelphia, April 27, 2018 —The Philadelphia Foundation and Reinvestment Fund announced the launch of PhilaImpactFund, a new place-based impact investment opportunity targeted to the Greater Philadelphia region. The Fund is believed to be a first-of-its-kind collaboration between a community foundation, The Philadelphia Foundation, and an asset manager that also originates community development loans, Reinvestment Fund. Each organization has committed $5 million toward PhilaImpact Fund’s $30 million goal. PhilaImpact Fund offers an opportunity for investors to channel their capital into neighborhood development projects that support regional growth and local initiatives in the communities that need them the most. The Fund will support projects serving critical needs for people across the region promoting housing stability for low-income families, better health outcomes, higher educational attainment, greater access to fresh, healthy food, and more. The PhilaImpact Fund is a fixed income product that will put 100 percent of investments toward enhancing the growth of Philadelphia and the surrounding counties—Chester, Montgomery, Bucks, Delaware, Camden and Burlington. “We are honored to partner with The Philadelphia Foundation, a renowned Philadelphia institution, to create this pioneering model that will efficiently connect local impact investors to neighborhood development projects that deliver tangible results and positive social impact,” said Don Hinkle-Brown, President and CEO of Reinvestment Fund. For example, Reinvestment Fund financed the construction of the Grays Ferry Education and Wellness Center in South Philadelphia. This transformed a vacant school building into a community health and education center that includes a Family School run by Family Support Services, early childhood education for over 100 children, and complementary parenting education services for families. It also houses Spectrum Health Services, a community health clinic that provides medical and dental care to more than 6,000 patients each year. This is the kind of concrete, local impact that PhilaImpact Fund investors will be able to support. Investments may be made through The Philadelphia Foundation’s tax-deductible Donor Advised Fund (DAF) or a promissory note offering through Reinvestment Fund. This offers options for investors to optimize portfolio, tax management, and ongoing community support strategies. The DAF offers a tax advantage for those seeking to make impact investments with their principal, while retaining the earnings to support grant making. When the investment matures, the principal is repaid to the DAF and will be available for reinvestment or community grants. The promissory note option is taxable but offers the opportunity to earn annual interest and the full return of principal to the investor at the end of the investment term. To learn more about the promissory note offering, contact Reinvestment Fund (215-574-5819 or invest@reinvestment.com). To participate in its Donor Advised Funds, contact The Philadelphia Foundation (215-563-6417 or donorrelations@philafound.org). Founded in 1918, The Philadelphia Foundation grows effective philanthropic investment, connects individuals and institutions across sectors and geography, and advances civic initiatives through partnerships and collaboration. A publicly supported foundation, TPF manages more than 900 charitable funds established by its donors and makes over 1,000 grant and scholarship awards each year. To learn more, visit www.philafound.org. Reinvestment Fund is a catalyst for change in low-income communities. We integrate data, policy and strategic investments to improve the quality of life in low-income neighborhoods. Using analytical and financial tools, we bring high-quality grocery stores, affordable housing, schools and health centers to the communities that need better access—creating anchors that attract investment over the long term and help families lead healthier, more productive lives.  Reinvestment Fund has a AA S&P investor rating and recognized as the 2017 Global Impact Asset Manager by GSG, an independent global steering group catalyzing impact investment and entrepreneurship to benefit people and the planet. To learn more about Reinvestment Fund, visit www.reinvestment.com.